Like a river on a map, I trace the sinuous line with my finger as it meanders over the stone. The crystallised vein is rust-orange in a shadowy white expanse. 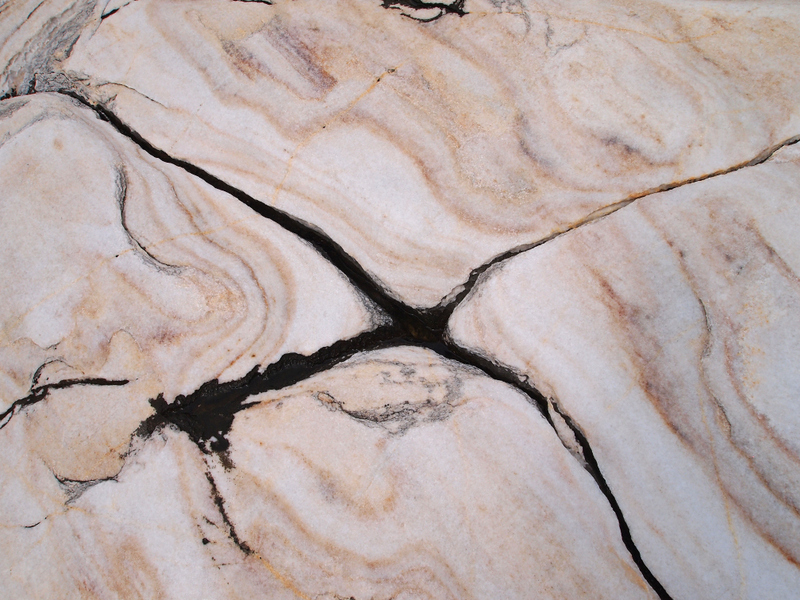 The marble is rougher than I’d imagined, more like a sheet of compressed salt, baked solid by sun. 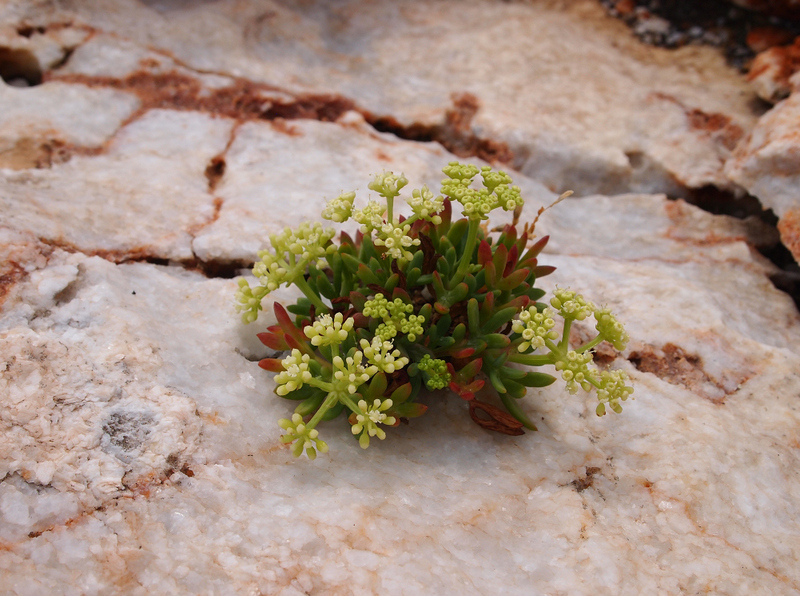 A few succulents flower in the fissures, sustained by grains of soil wind-spilled into the cracks – enough to send up a shower of pale yellow stars. I hear the sighs of the sea beside me, whispers of wind through the pines. I’m standing in an abandoned quarry, hemmed in by its high cathedral walls, seawater licking the cove. A flight of herons steers eastwards across the sky. I follow that weaving line in the marble until the mineral seam slips out of reach, rising up the cliffs like a lit fuse, imagining all those hands that have worked this shore. It’s hard to reconcile the empty extravagance of the coast with the scenes that preceded it, when hundreds of men laboured here. 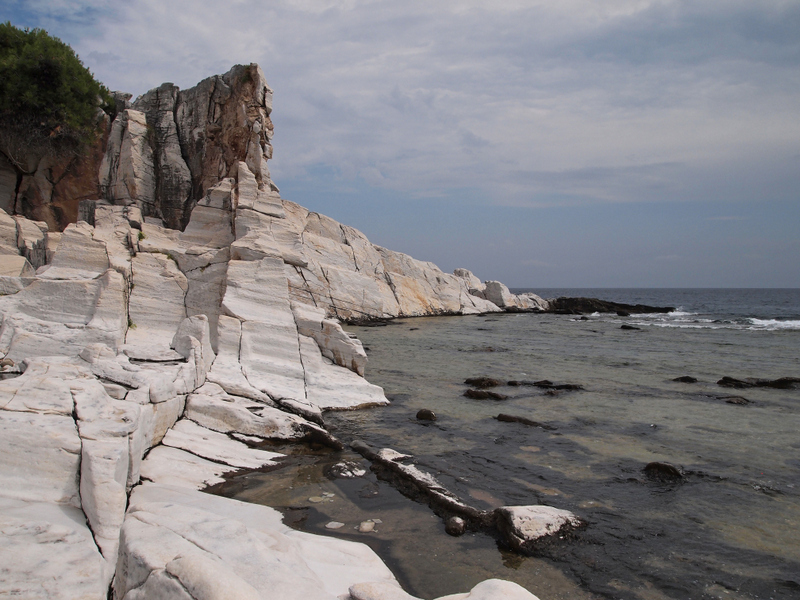 On the southern tip of the island of Thassos, the marble shore is an ancient workplace, first quarried for its prized deposits in the 6th century BC. For 1,200 years, until the quarries were suddenly deserted in the 6th century AD, marble from this cape travelled the known world. Vast blocks of the valuable stone were loosened by a series of closely-spaced nails and blocks hammered in strict lines, then levered out by a complex system of winches and pulleys, the entire mechanism turned like a mill by men, most probably slaves, running inside enormous wooden wheels, or walking all day in circles around a horizontal turn crank. Freed from the cliffs, the stone tablets were hoisted onto boats lashed to the coast, which set sail for ports throughout Asia, Africa and the Mediterranean. The Thassos marble was then chiselled, shaped and sculpted, transformed from its raw, sea-washed beauty into a suite of artful elegance: statues, columns, arcades, porticoes, walkways and edifices. 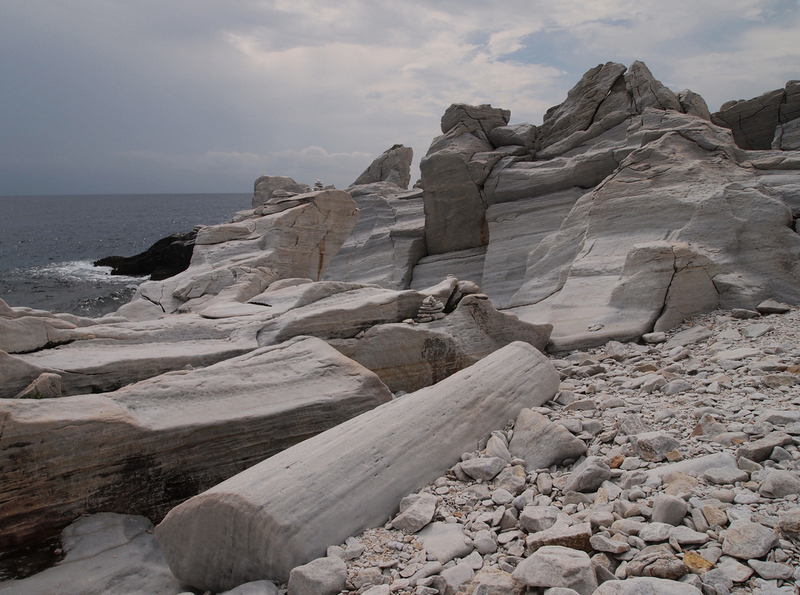 Wherever it is still found, the marble must carry the light of this island. There’s a melancholy edge to the day, a warm wind freighted with speckled rain. The storms that lashed the island overnight have been rinsed away, leaving a low grey sky spread across the sea. The marble is mute in this cast of light, solemn and ungiving. But later on, when sunlight returns the last days of summer to us, the marble begins to glow. The stone simmers into a hot glare. 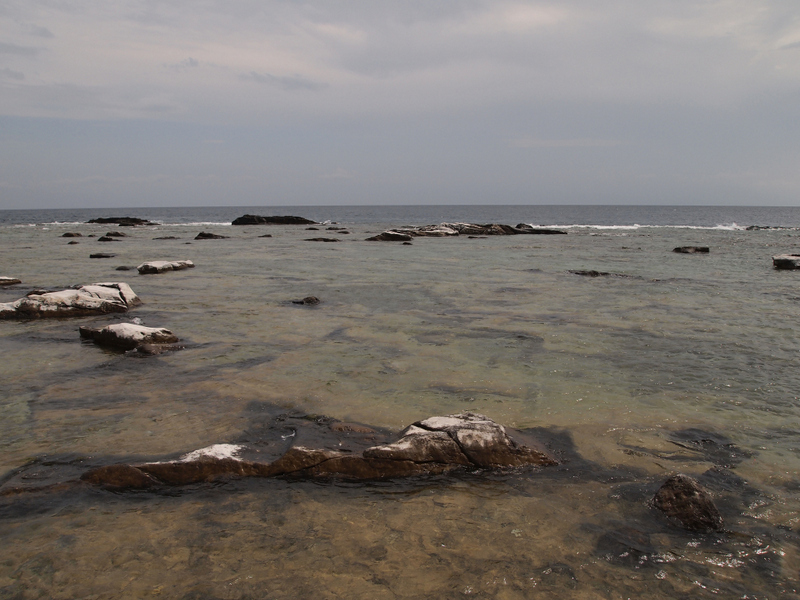 The tide pools brim with sudden glitter, reflecting the sun-scorched brilliance to a pure white profundity. I stand on a shore of light, ripples on the sea like fired glass. Absorbing it all, the marble seems to burn. To work this coast must have blinded, as if forever condemned to stare sightless at the sun. This landscape is an echo, cryptic and obscure. It’s a mysterious resonance of the original, much larger, cape. 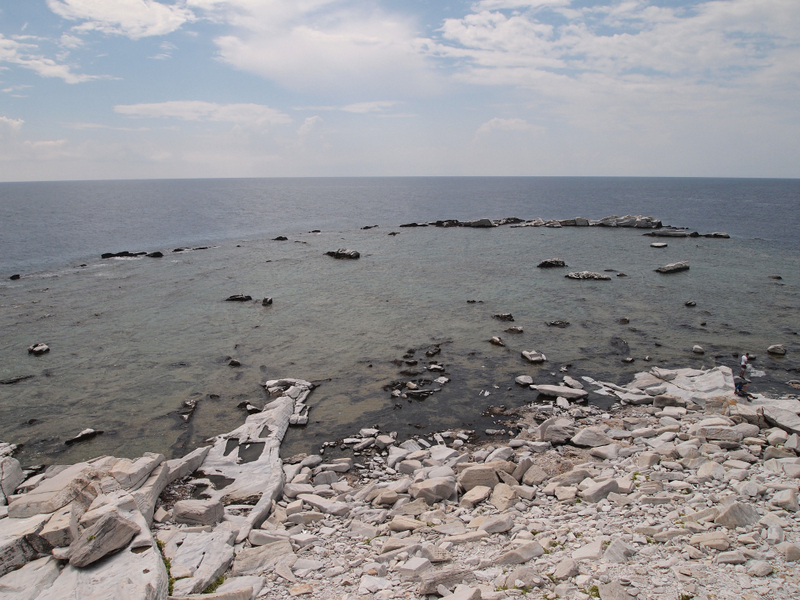 A submerged marble reef suggests its earlier shape, ringed by an archipelago of lonesome rocks set apart from the island, as if the bed of worked stone sank from the weight it relinquished. I walk southwards, rising and falling between the coves of mined stone. The marble slopes in tilting planes ahead of me, a white world sliding into the sea. I drop down into a bay and find a vast, fluted column, a relic of the ancient works. It’s enthroned in stark beauty, as if the ruin of some obliterating catastrophe. Being in its presence casts a strange mood about the bay. It looks to have toppled straight from a pedestal, as if this was always its intended destination. Abandoned on a midden of broken stone, where sea-round pebbles have been mounded into cairns, the column summons the memory of those enslaved to this shore, who gave their lives to the sun, to this ancient marble light. I’m delighted to announce that The Small Heart of Things is now out in paperback, available from independent bookstores and online sellers. On behalf of the book I have a few upcoming events in England. Full details for the readings can be found on the events page or via the links below for anyone in the area, or if you wish to share with friends who might be interested. Many thanks! Beautiful. I’ll think of this every time I look at sculpture. Many thanks for the kind words; delighted you enjoyed it! Beautiful as usual. Especially love the photos in this piece. So calming; transporting me to a peaceful place amidst the stress of this hectic workday! Thank you, Diane! 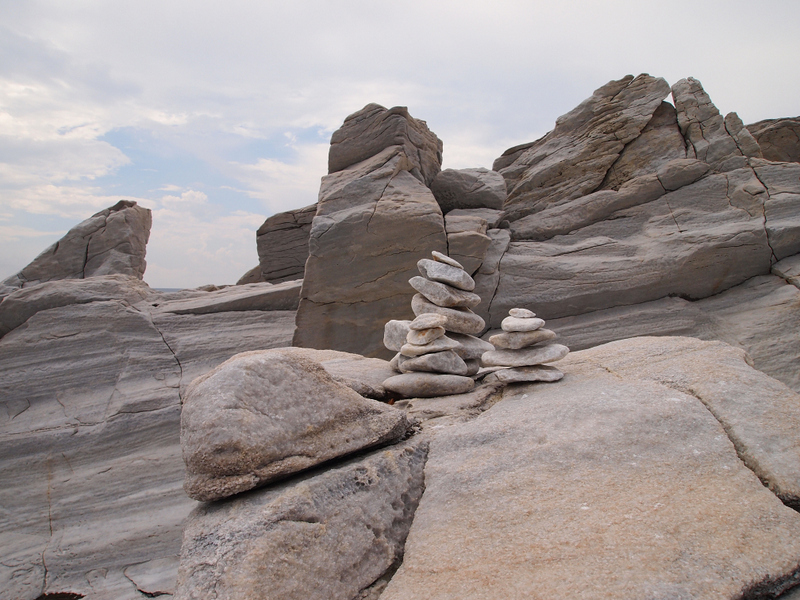 Such a remarkable part of Thassos and I’m so pleased the post and pictures resonated with you. Hope all is well with you both. Best wishes from a very cold Prespa, with snow on the mountaintops! Words quarried and polished, which glow like the finest marble in sunlight. A delight to read Julian. Glad to see the “shower of pale yellow stars” thriving on this inhospitable terrain and a reminder that this was once a working landscape. 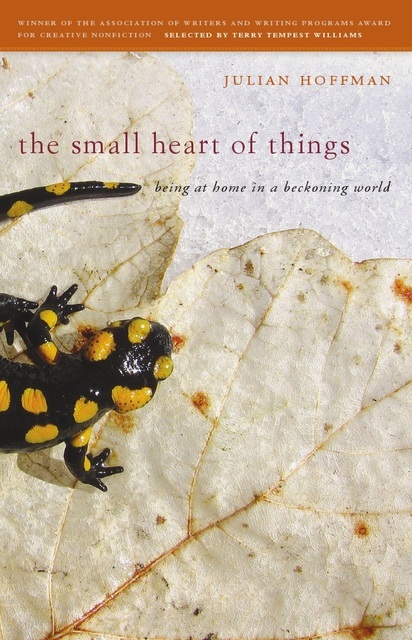 Good to hear that ‘The Small Heart of Things’ is now out in paperback. “Words quarried and polished…” indeed! Perfect phrase to describe Julian’s writing. Many thanks, as always, for your kind words, fifepsy. Those pale flowers were magnetic in the shadowy white world, so thin their seam of existence. 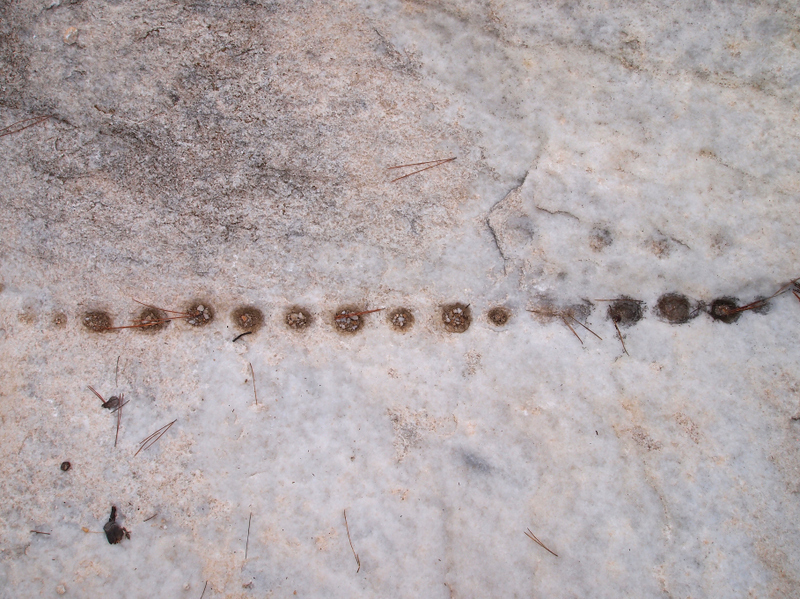 Finding the nail holes where blocks of marble had been levered and lifted out really brought home the worked nature of the landscape and those who had toiled there. Delighted you enjoyed the post, and many thanks for the good wishes for the paperback! It’s a while since I’ve read JA Baker’s wonderful “The hill of summer” and “The Peregrine” but your writing, Julian, recalls it. I wonder if you have read him. He was a strange reclusive character, sadly now longer with us, and should have been much more widely recognised than he was. Thanks for the kind comments, docrichie! I have indeed read JA Baker. The Peregrine has long been a source of inspiration to me – and I know few writers who’ve been able to capture the natural world and our connections to it in such visceral, enriching language. He was one of a kind – and those books about landscapes and creatures that he charged with an nearly otherworldly significance will endure. 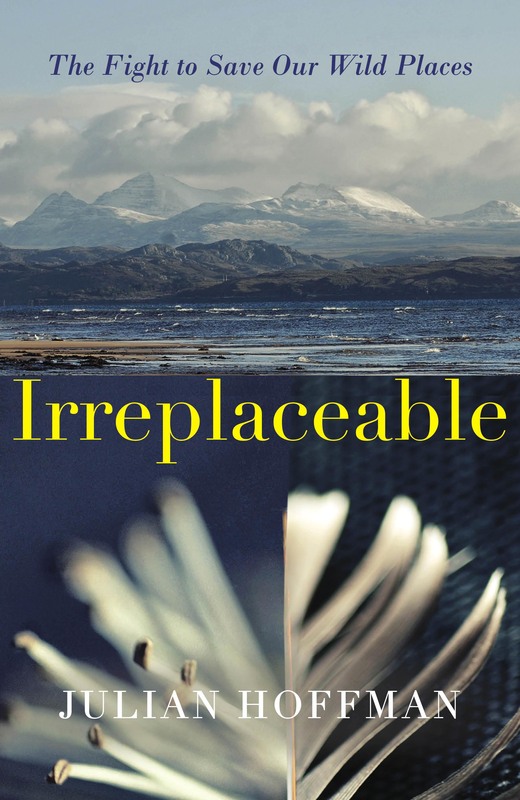 He found a way of connecting, and writing about it, that is rare. Thanks for adding your thoughts here, much appreciated! It’s wonderful to have this eloquent tribute to the origins of the products that get all the attention. And it’s gratifying to know that beauty still remains after the wanton harvest. Thanks ever so much, Cindy. That’s a really good point: that there’s beauty remaining after the harvest. 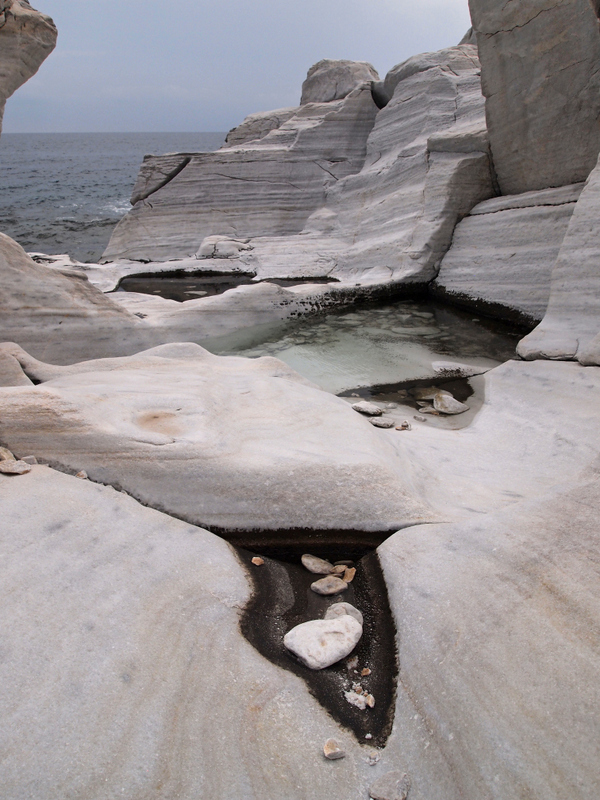 That’s so rarely the case anymore, but the marble shore retains its natural beauty somehow, layered with hundreds of years of effort. Hope all is well with you! Beautifully written as always, Julian. And a highly evocative sense of place with marble as its centrepiece. Many thanks, Laurence. Delighted you enjoyed it, and you’ve just reminded me that I wanted to return again to your evocative graveyard piece! Gorgeous, Julian—in word and image. Gratitude for all. And deep gratitude in reply, Dawn. Thanks ever so much; I’m delighted you enjoyed the post. As always, Julian, you make me feel as if I must have seen this place before, maybe in another life or a dream. It’s not just the level of detail or the ethereal prose, but a sense of connectedness — that these places are part of our shared world, our collective consciousness. Beautiful. No one understands the natural world like you do. The subtle observations make the perilous journey into equally delicate words and phrases and make their triumphant appearance on your blog. This is the best thing: it all seems so magic, yet it is all so true. Reblogged this on places-names [from a peripatetic point of view].